Sevilla, food, and travels have been the A-list stars in this blog, and I’ve thoroughly neglected Jerez, the city I actually work in! I suppose it is the commuter’s curse to only know the confines of their workspace, and in my case, the train station, in the place they commute to. Two weeks ago, Julia and I staged our own Bring Your Friend to Work Day, and she accompanied me along the marathon of 2 hours of train rides, 1 hour of walking, 10 minutes of Metro-ing, and the 7 hours of working that is my typical Tuesday. 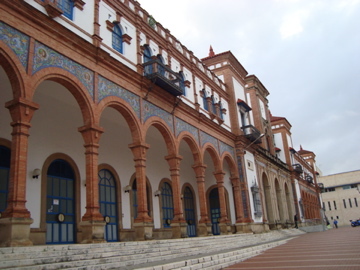 This is the beautiful Jerez train station. 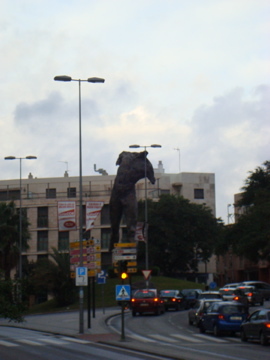 It is about a 20 minute walk from the station to my school, and about 15 minutes from the station to the city center. This slightly frightening statue welcomes visitors- I’m not sure what his story is. Julia snapped this picture as we were leaving school. 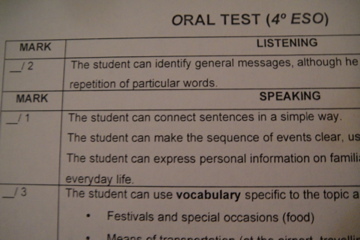 This is the gate to I.E.S. Fernando Savater, the secondary school where I work. This gate is always locked, and there is another locked door beyond this to get inside the building- maximum security- those kids aren’t escaping! 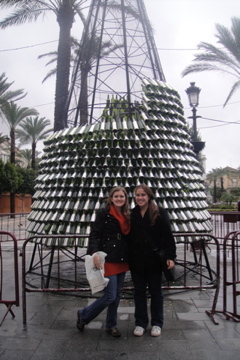 After school, we strolled over to the city center with Helen, the other language assistant at my school .As Jerez is known for its sherry wine production, it was fitting that they were constructing a Christmas tree of sherry bottles in this plaza. 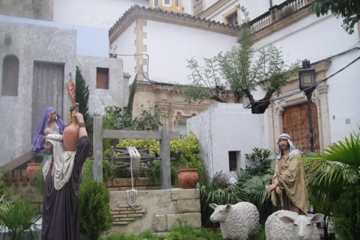 I’ve posted before about the popularity of belenes (nativity scenes) in Spain. 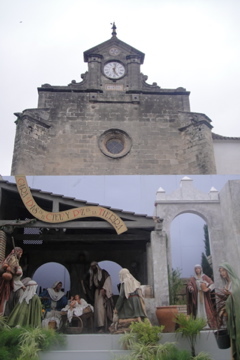 Here is Jerez’s main belén. The people figures in the photograph are life-size. 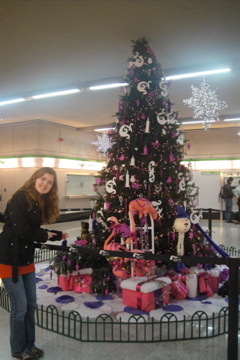 …and Christmas tree complete with flamingos and Sevilla-themed ornaments. 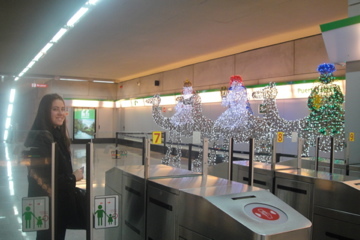 It seems as if no corner of Sevilla has been neglected in decorating for the holidays! On Saturday, I took a much longer 25-hour journey home to California! I have a couple of back-posts about sweets (surprise!) that I intend to put up while I’m home, so I won’t completely disappear during my break from Spain. I hope you enjoyed this sliver of a look into my daily grind in Jerez! GENES FOR STAYING ON THE GO SO MUCH !!!! !